Mile long coastlines, crystal clear water and picturesque landscapes – that’s what the stunning Italian Riviera is famous for. Amongst all the amazing regions on the Italian Riviera, the Cinque Terre is probably the most impressive region. This about 12 kilometers long coastal strip consists of the five villages Monterosso al Mare, Vernazza, Corniglia, Manarola and Riomaggiore and offers breathtaking sceneries which seem as if taken right out of a picture-book. That is why it is not surprising that together with Porto Venere, the Cinque Terre National Park was even declared as UNESCO world heritage! 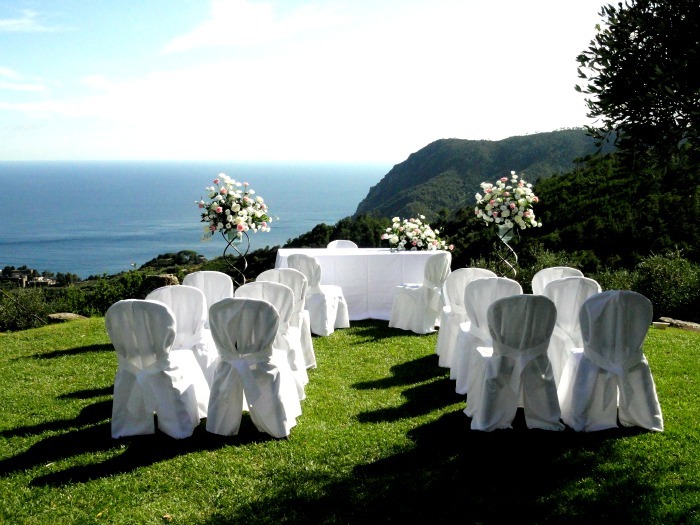 A lovely idea for a civil wedding in Cinque Terre would be to rent a romantic cottage or villa with a nice Italian garden for a couple of days. 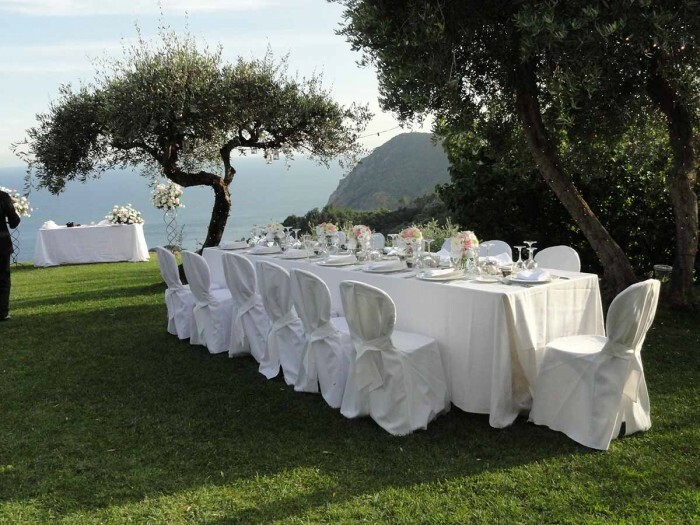 Those kinds of venue are ideal for marriages with about 25 persons and offer the opportunity to combine your wedding in Italy with a nice holiday for you and your guests. Moreover it has the great advantage that your family and friends do not need a separated accommodation but are all together which makes your marriage even more familiar. However the selected villa will not only serve as accommodation and location for the ceremony itself – thanks to the romantic garden that usually belongs to an Italian villa, also the wedding party including the aperitif, dinner and music can take place on the same property which is truly a very special way to celebrate your wedding. Our portfolio includes a great variety of wedding venues that serve for an outdoor wedding ceremony and a romantic wedding reception. We gladly will suggest you all the different options in order to find the one that is perfect for you. A nice example would be an old monastery near Monterosso al Mare. With a stunning view to the sea and a breathtaking surrounding, it is one of the most terrific wedding venues you could imagine. But no matter what location in Cinque Terre you select – a marriage in this region of Italy is always something exceptionally special!